Acinetobacter spp. are ubiquitous bacteria in the environment. Acinetobacter spp. isolated from a municipal drinking water treatment plant and from connected tap water were identified to the species level on the basis of rpoB gene partial sequence analysis. Intraspecies variation was assessed based on the analysis of partial sequences of housekeeping genes (rpoB, gyrB, and recA). Antibiotic resistance was characterized using the disk diffusion method and isolates were classified as wild or non-wild type (non-WT), according to the observed phenotype. The strains of Acinetobacter spp. were related to 11 different validly published species, although three groups of isolates, presenting low rpoB sequence similarities with previously described species, may represent new species. Most of the isolates were related to the species A. johnsonii and A. lwoffii. These two groups, as well as others related to the species A. parvus and A. tjernbergiae, were detected in the water treatment plant and in tap water. Other strains, related to the species A. pittii and A. beijerinckii, were isolated only from tap water. Most of the isolates (80 %) demonstrated wild type (WT) to all of the 12 antibiotics tested. Non-WT for tetracycline, meropenem, and ceftazidime, among others, were observed in water treatment plant or in tap water samples. 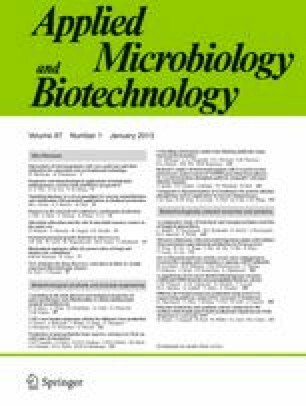 Although, in general, this study suggests a low prevalence of acquired antibiotic resistance in water Acinetobacter spp., the potential of some species to acquire and disseminate resistance via drinking water is suggested. The authors gratefully acknowledge the workers from the water treatment plant for their kind collaboration on sample collections and the people that kindly allowed the sampling of water from their taps. This study was financed by Fundação para a Ciência e a Tecnologia (projects PTDC/AMB/70825/2006, PTDC/AAC-AMB/113840/2009 and IVM grant SFRH/BD/27978/2006). CNR was supported by ERASMUS placement agreement. LS-S and ERBM were supported, in part, by funding of the ALF-medel för forskning Västra Götaland Region project ALFGBG-11574 and the FoU-Västra Götaland Region project VGFOUREG-157801.